As the leading UK animal welfare charity, the RSPCA is relied on to prevent animal cruelty and assist with the rescue and health of animals. It’s the live final of BBC’s Over the Rainbow this weekend, where the three remaining girls (Lauren, Sophie and Danielle) all compete for their dream role as Dorothy in Andrew Lloyd Webber’s reworking of The Wizard of Oz in London’s West End. However, more important is the search for Toto, and which dog will win the role of Dorothy’s faithful sidekick for a one off performance. The final five dogs have been put through their paces over the last few weeks, performing various tasks to impress the judges, before this weekend the winner will be announced. A cross between a pug and a shih tzu, Eddie is one year old and is one of the cutest dogs in the final. Eddie can’t handle the pressure of sitting on the seats in the theatre, as we saw recently, but he can pull back a curtain with the best of them. It seems that every few months we’re treated to a story of a dog that manages to fall of a cliff and survive, and it’s usually a spaniel! 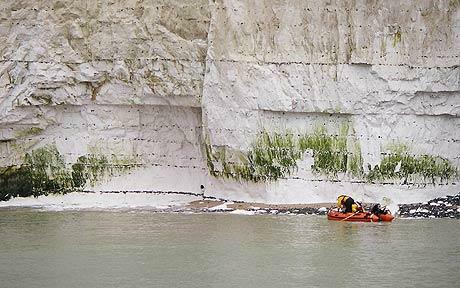 Last summer saw two dogs fall of a cliff, one was saved by his collar and the other, the spaniel, fell off the same cliff twice. This time a springer spaniel has fallen off a 300ft cliff into the sea while she was chasing a seagull. Don’t panic though, as this springer spaniel, named Poppy, is fine and was rescued by a lifeboat and its crew. She was shivering – she was cold and nervous but apart from that she was as good as gold. Myself and another crew member have both got springer spaniels ourselves so we were very relieved. Would you rather be rescued by a German Shepherd or a Springer Spaniel? 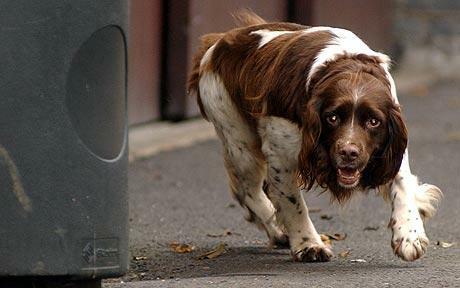 The police choose the Springer spaniel over the German shepherd because it’s less scary. The Devon and Cornwall Police force are reportedly the first police force in the UK to train the Springer spaniel dog breed for search and rescue operations. 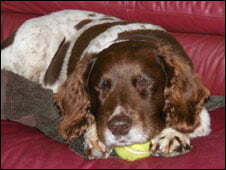 Springer spaniel Oliver survived just over five weeks in the hills of Scotland. 12-year-old and partially deaf Oliver ran away from his owners and the three other family dogs during a walk close to Glen Etive in Scotland on the 24th February but was happily reunited with his owners on the 2nd April. Your dog’s so fat, he can’t scratch his ears!